I generally feel that pop-alternative music is starting to sound the same. Popular music has cycled like this forever. What begins as bold, fresh music — eventually becomes unintentionally diluted with similar sounding artists. The only way for an artist to create signal through the noise is to be insanely original — or to have a great song. In the case of Halsey, it’s the latter. Her new single Hurricane, is a great pop song with edgy lyrics and a gritty, synthed bass and drum sound. 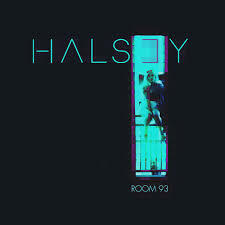 Halsey (Ashley Frangipane) is just 20 years old, and I’m impressed with her musicianship. While her music is highly produced — at the core of it is an acoustic singer/songwriter. With Hurricane, I saw an opportunity to create an instrumental guitar arrangement — similar to that of my arrangement for Sam Smith’s Latch. All of Halsey’s songs begin on acoustic guitar, so it wasn’t hard to translate her highly finessed sound to an instrumental guitar piece. When looking at the guitar tab, my order of play looks like this: Verse 2x, Pre-Chorus, Chorus — Verse, Pre-Chorus, Chorus. That’s it. Pretty simple. I actually prefer a simple interpretation that is generalized in one area of the guitar. However, in the odd chance you’re looking for something more challenging, I have arrangements for Sky Ferrierra’s You’re Not the One and Phantogram’s Fall in Love. As far as my pop song arrangments go, those two are unusually difficult. My furrowed brow in the video for Fall in Love is no doubt due to the 15 attempts it took me get get just one take, mistake free.